Help preserve your Vintage Oaks quality of life by knowing the facts about the proposed 3009 Vulcan quarry in Comal County. We are offering a free informational session to all Vintage Oaks residents to share with you the facts and next steps, and to address health and safety concerns regarding the proposed Vulcan quarry between New Braunfels and Bulverde. 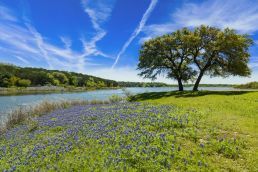 This public forum will provide residents with information about what measures they and their elected officials can take to preserve our beloved Hill Country.